We are looking for an enthusiastic and highly motivated part-time band 3 Therapy Support Worker to join our Speech and Language Therapy team at The Princess Royal Hospital in Telford. The post is part time, 22.5 hours per week (ideally worked across 3 days) and on a fixed term basis until the end of June 2019 to cover a maternity leave in the team. The successful candidate must have experience of working within adults with communication and swallowing problems, and will be supporting the Speech and Language Therapists in their work throughout the hospital, including admissions units, respiratory wards and elderly care. 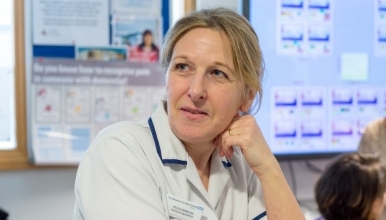 Part of the role may also be to support the delivery of training to fellow staff in the hospital such as HCA’s, housekeepers or nurses; as well as working closely with families and carers on the wards to support safe eating, drinking and swallowing. We are a friendly, forward thinking team working in a fast paced rewarding environment. High quality patient care is at the forefront of our decision making and we are enthusiastic about welcoming new ideas and staff development.